If you’re in the fortunate position to be buying diamonds (or even better, having them bought for you,) the process should be one to savour. Lucky for you then, that Luxuria Lifestyle was recently introduced to Noble Fine Jewellery who we’d highly recommend, creating bespoke pieces whether your budget is five hundred or £50,000. Just like buying a new car, choosing that perfect wedding dress, or finally putting down the deposit on your forever home, when you’re choosing diamonds, they should be absolutely perfect for you – serving as an investment for years to come. 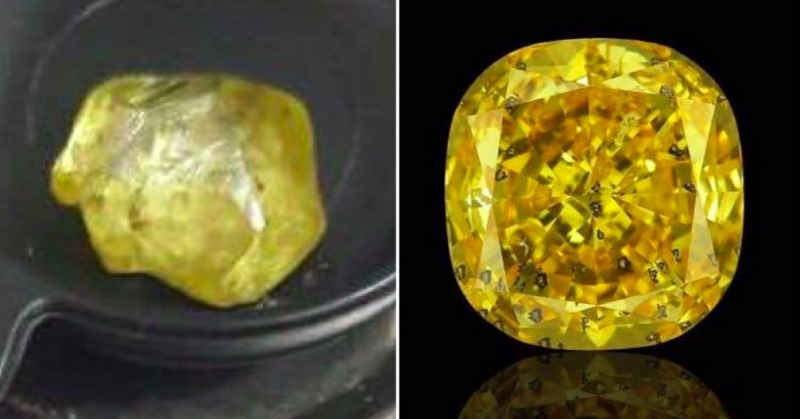 And with thousands of shops and stores selling diamonds, if you’re really looking for something to treasure for the future, why choose something that has been mass produced and could be similar to what someone else might have?! It’s a common misconception that diamonds are only attainable for the rich. But with a smaller budget whilst looking for a bespoke piece, I had the pleasure of being introduced to Ilana Brandwain through a friend. As the founder of Noble Fine Jewellery, Ilana’s personality and passion for diamonds shine through on every level. With her brother a diamond miner and buyer in Sierra Leone, and also now that Ilana is married to a third generation diamond dealer, there is nothing she doesn’t know about the process of transforming rough diamonds into the most beautiful pieces of jewellery you’ve ever seen. Of course, every single one of the diamonds used in Ilana’s work are ethically sourced. But not only that, the quality of the diamonds used, are of the very highest quality. And the price? Not only will you be receiving the most bespoke service imaginable, but you’ll be paying 30 – 40% less than buying from a retailer. With Ilana based in Antwerp, the distance was absolutely no issue in designing my piece. Ilana is always available over the phone whilst she can also travel to wherever you are for a bespoke consultation. In some instances, it’s even possible to visit the diamond mines of Sierra Leone where the precious diamonds are sourced. Ilana also has access to semi precious stones like sapphires, emeralds and rubies making the possibilities endless when it comes to getting your new jewellery designed. 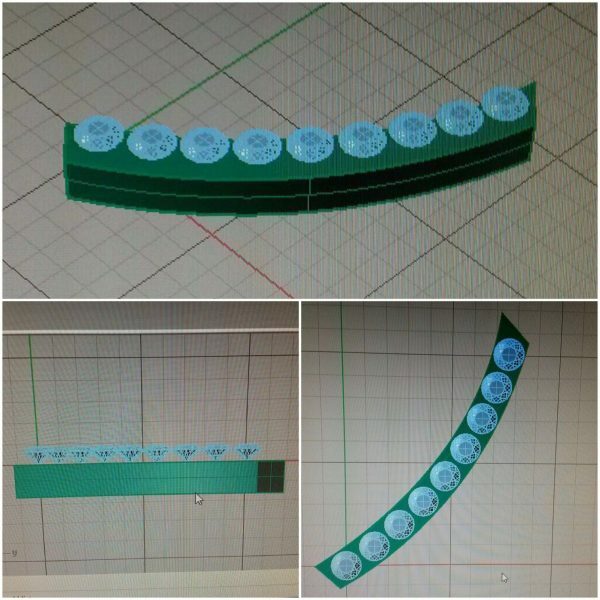 With no idea as to what kind of piece I’d like, we went back to basics for my first consultation. What’s my sense of style? What kind of clothes do I wear? What kind of places do I visit? Ilana likes to get a real sense of the personality of her clients before she advises on what to make them (assuming you don’t have an idea in mind already of course). 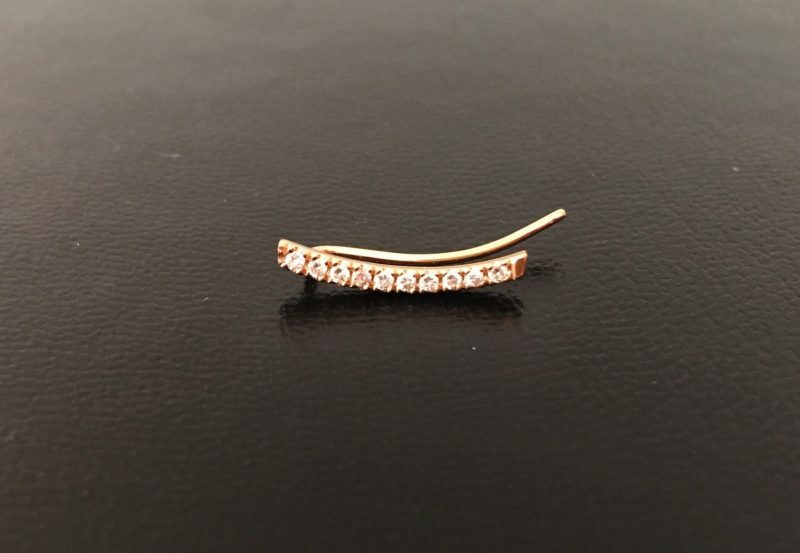 We decided on a unique ear cuff piece for my left ear – made with diamonds and pink gold (Ilana recently made one for Christy Turlington which you can see below.) Slightly ‘rock chick’ esque, and with only a £300 budget, every stage of the process was still discussed in great detail, from the grade of diamond being used (this obviously depends on budget), to how the diamonds would be cut and arranged, through to the type of and colour of the gold that would be used. The size of my ear was also important, so I sent a number of photos of my face and ears so that Ilana could design the perfect fit for my ear lobe. I was updated regularly, both through what’s app photos and phone calls at every stage of the design. It didn’t matter that I was spending a small amount, rather than the tens of thousands that some of Ilana’s customers have a budget of – the attention to detail and bespoke service remained exactly the same. Ilana’s work brings her to the UK regularly, so if you’re ordering something, it’s likely you can meet in person to receive your absolutely gorgeous bespoke sparkly gem. Upon seeing the finished piece, I was absolutely delighted. Exactly as described, it was way more beautiful than any of the photos I’d seen of it, and was also a perfect fit. I haven’t actually taken my ear cuff off and it’s been three weeks now! What’s also astonishing is that if I’d bought it from a shop in London, it would’ve been almost twice the price. Whether it’s a ring, necklace, ear cuff or a completely unique piece you want designed, Noble Fine Jewellery will provide you with something innovative and truly special. Diamonds to treasure forever. 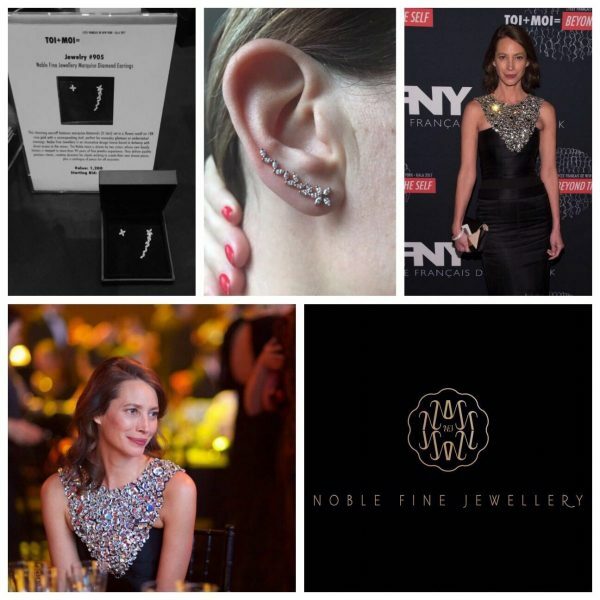 Contact Noble Fine Jewellery here.